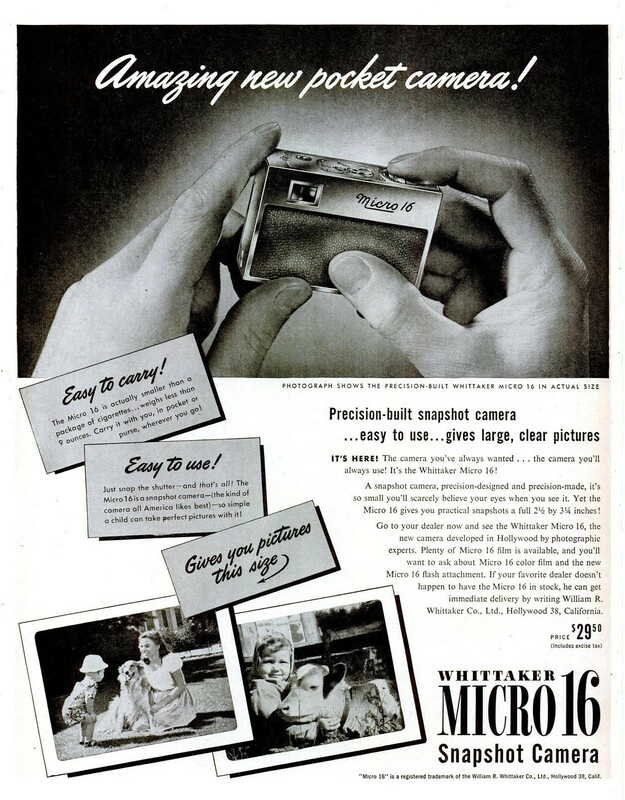 The Micro 16 film camera was first manufactured by William R. Whittaker, Ltd. of Hollywood California starting in 1946. “Smaller than a pack of cigarettes” and weighing less than 9 ounces, it could be hidden in the palm of the hand. 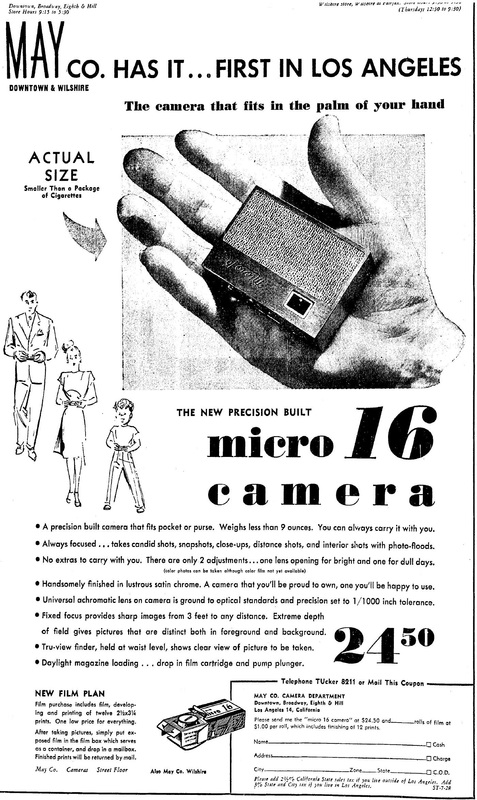 While marketed as just the thing for family snapshots, the Micro 16 had obvious appeal to the private detective. The May Company was the first local retailer to offer the camera for sale. At $24.50, plus $1.00 per roll of 16mm film (which included development of 12 prints), this high tech snooper’s aid didn’t come cheap. The May Company was the first to retail the Whittaker Micro 16, in the summer of 1946. 7-28-1946. 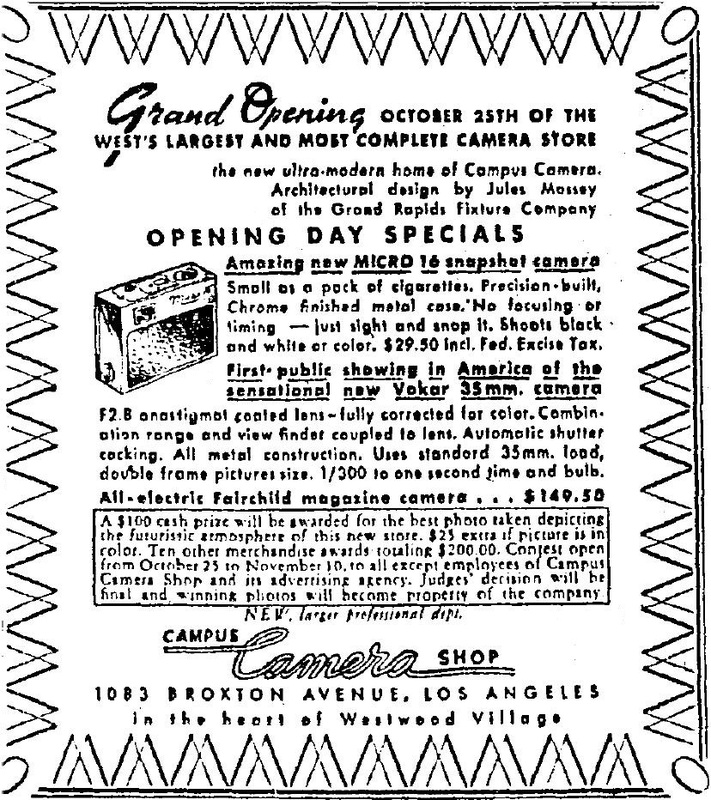 The Campus Camera Shop in Westwood Village, “the West’s largest and most complete camera store,” had its grand opening October 25, 1946. They retailed Whittaker’s Micro 16 for $29.50. 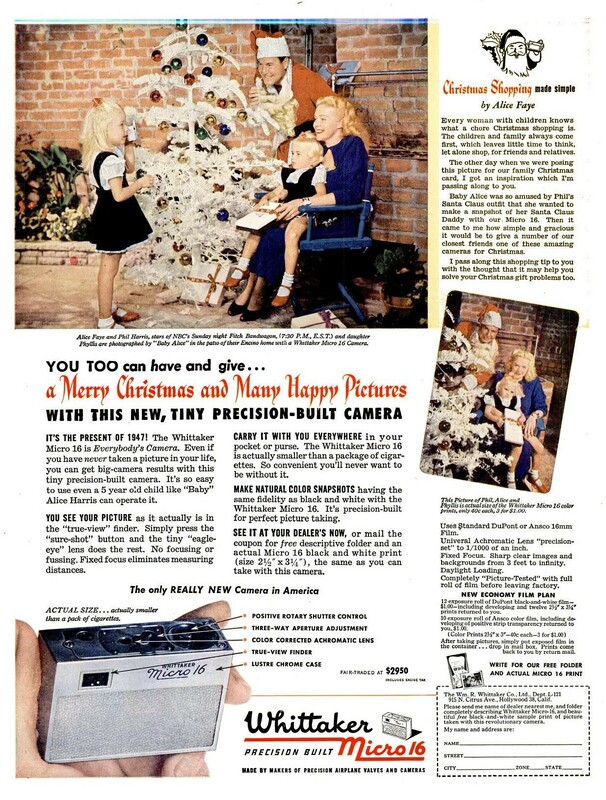 Alice Faye endorses the Whittaker Micro 16 in a national advertisement, 1947. Life.